When Thomas Pinck came to us for branding, we sat down to talk and discovered that they also wanted to give their customers a sensory experience in terms of packaging. We at MOJO loved the idea of communicating their brand in way that made a statement and reinforced the brand, but didn’t break the bank. 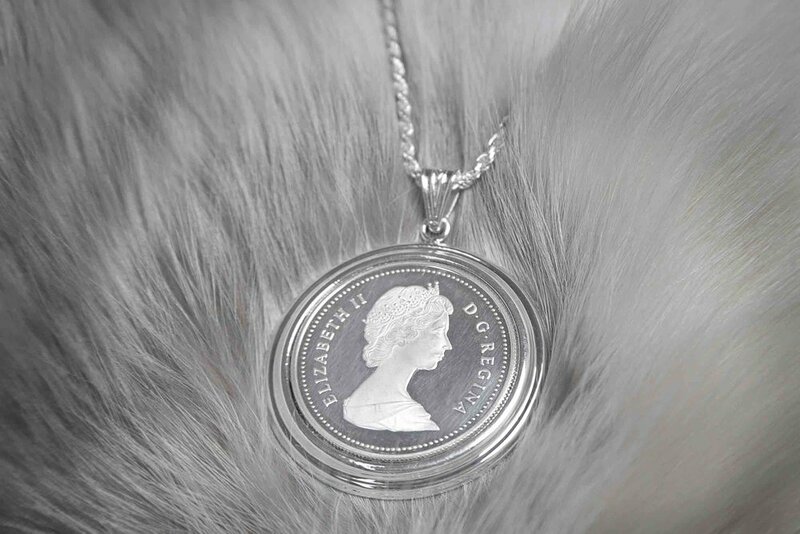 We began with the product, a meticulous, personal coin collection that had been cultivated for decades. Then there was the obvious last name reference. Add to that a sophisticated audience and we landed on a leather pouch that would last as long as the heirloom jewelry it protected, while also becoming its own identifiable piece. Custom tissue paper was also commissioned to match the palette of the brand for a strong first impression. A final touch was a thoughtfully designed insert card that retold the history of the coin and the figure commemorated. MoJo made sure that everything looked and felt as luxurious as the pieces... at the price point we required. A woman with a black jacket wearing a Thomas Pinck rare coin necklace. Mood board created to show an overview of the brand for the Thomas Pinck brand.